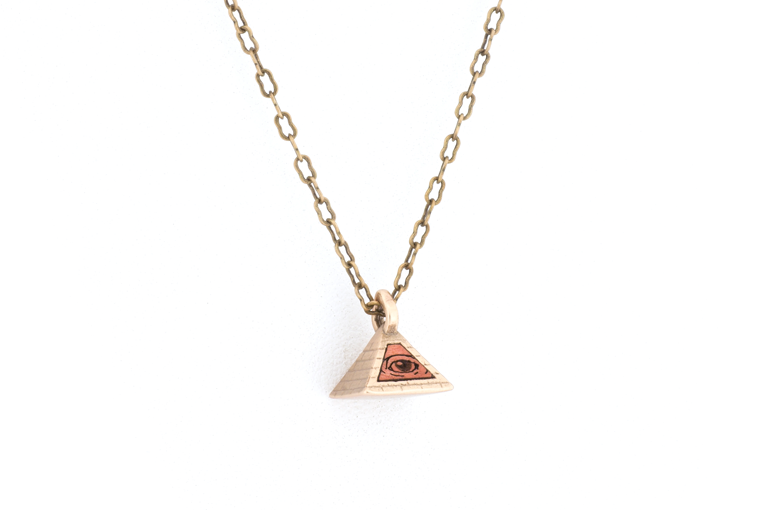 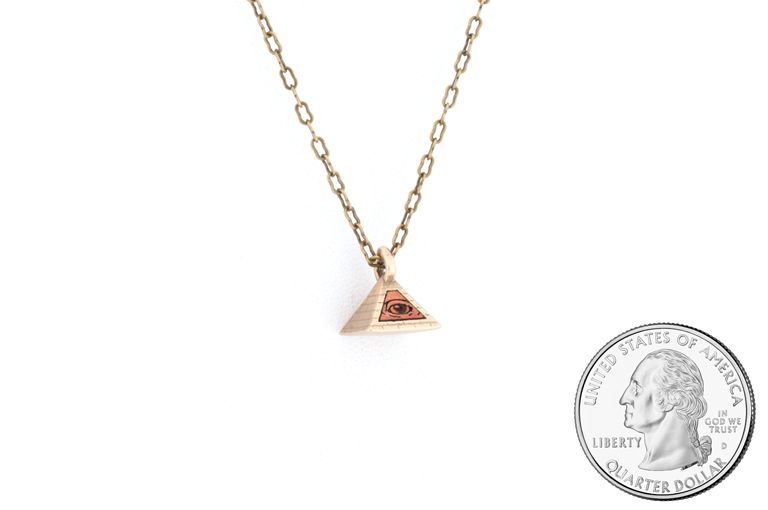 A small but solid Antique Bronze pyramid, cast with brick detail, and inlayed with Pink Ivory wood featuring a detailed eye etching. 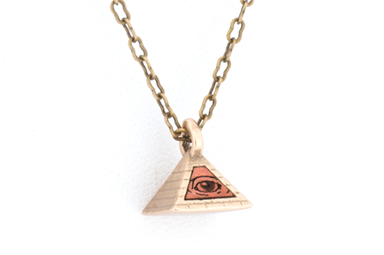 Complete with our logo on the back. 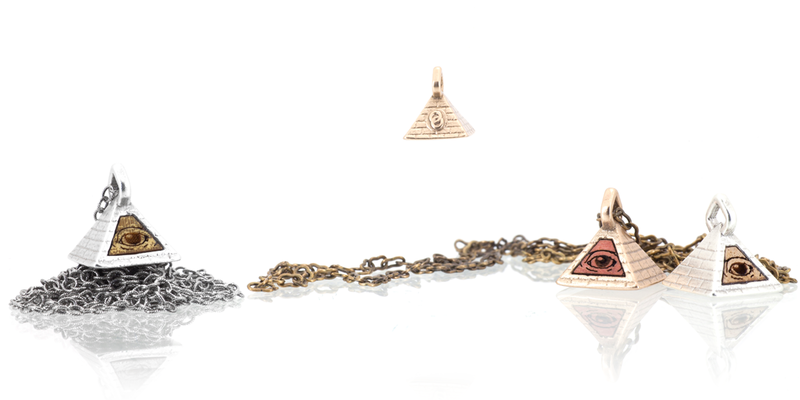 *Please note: Our Antique Bronze jewelry benefits from a hypoallergenic, tarnish resistant, nano-ceramic coating.